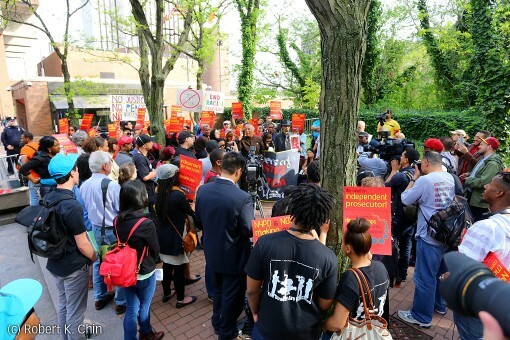 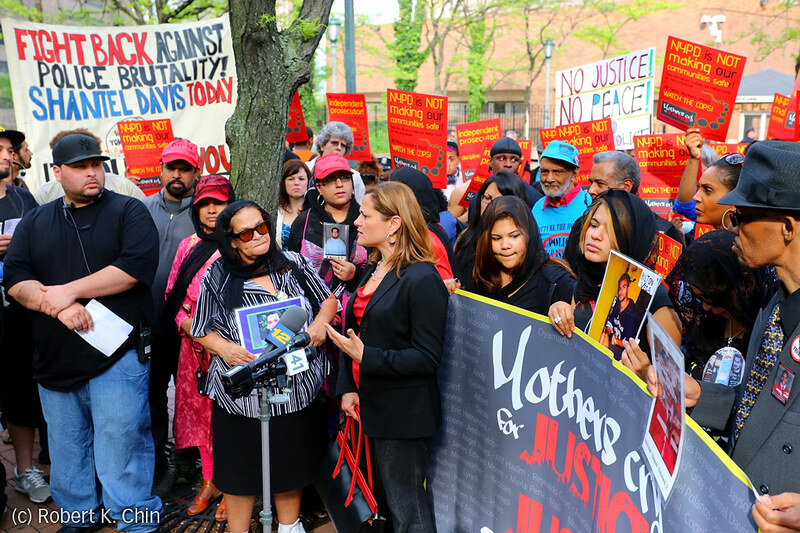 A Mother’s Day rally was held at NYPD headquarters One Police Plaza “1PP” to demand police accountability, and to end police violence. 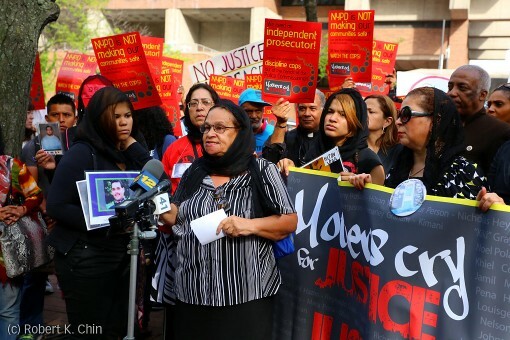 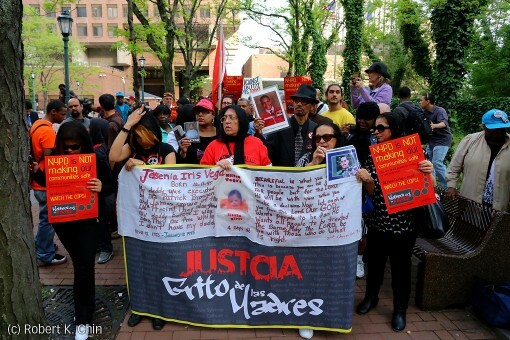 Titled “Mothers Cry for Justice”, “Justicia, Grito de las Madres” the event was organized by family members of those killed by police, and members of the Justice Committee of NY. 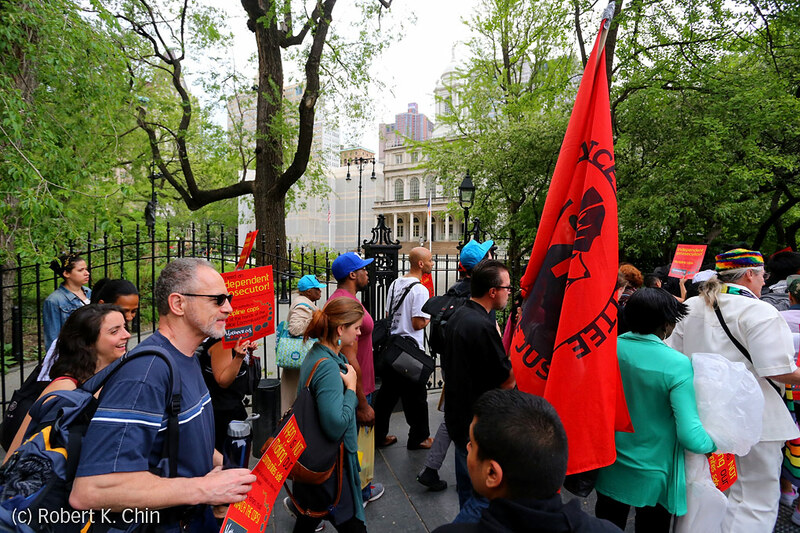 The event was followed by a march around City Hall to Foley Square for a continuation of the rally, followed by spoken word performances. 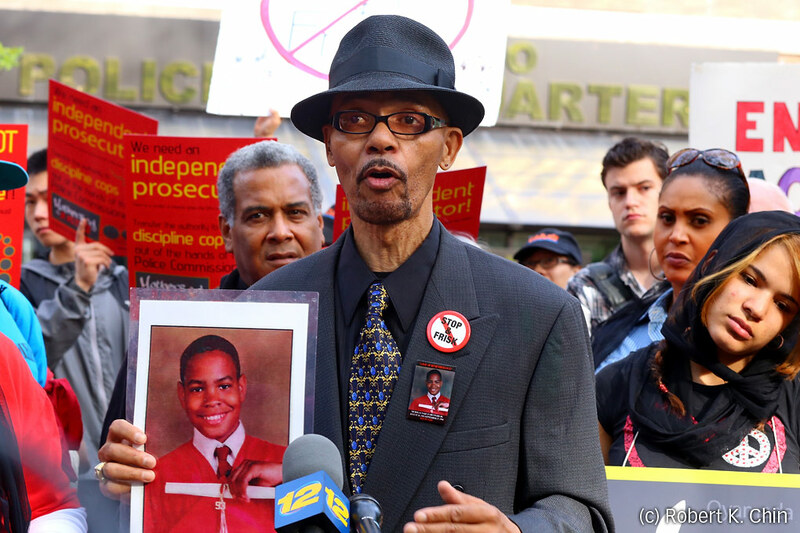 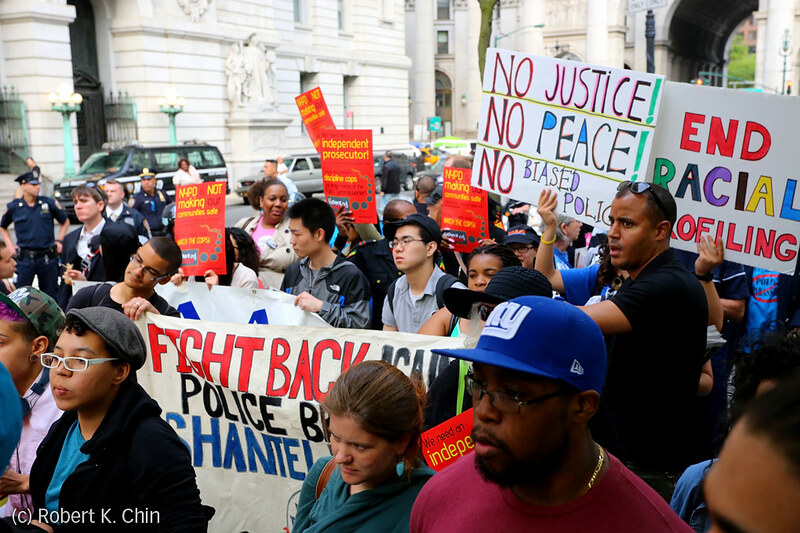 The issue of police brutality brings up the question of who polices the NYPD? 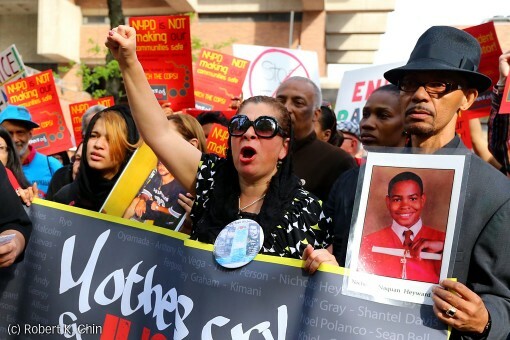 Iris Baez, mother of 29-year-old Anthony Baez, killed by police on December 22, 1994. Margarita Rosario, mother of Anthony Rosario & aunt of Hilton Vega, both killed by police on January 12, 1995. Nicholas Heyward Sr., father of 13-year old Nicholas Heyward, Jr., killed by police on September 27, 1994. 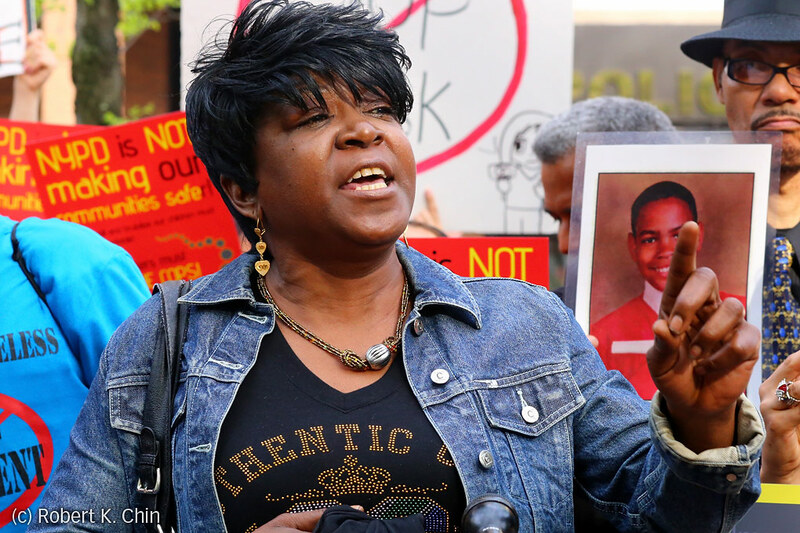 Danette Chavis, mother of 19-year old Gregory Chavis, killed by police on October 9, 2004. 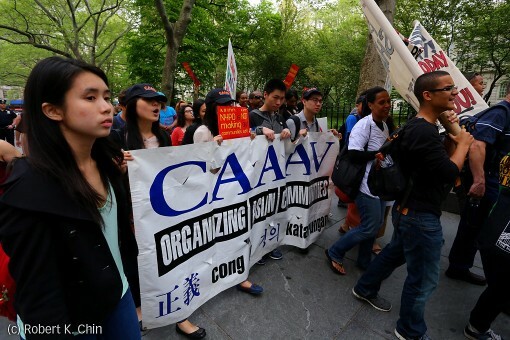 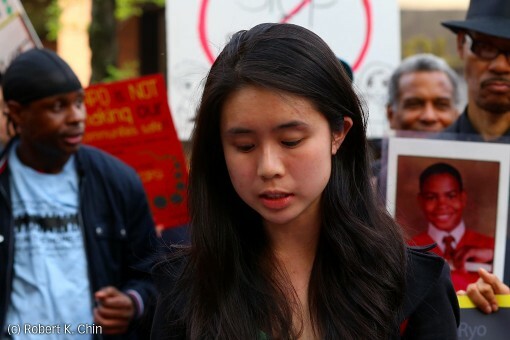 A member of CAAAV, she spoke for 16-year old Yong Xin Huang, killed by police on March 24, 1995. 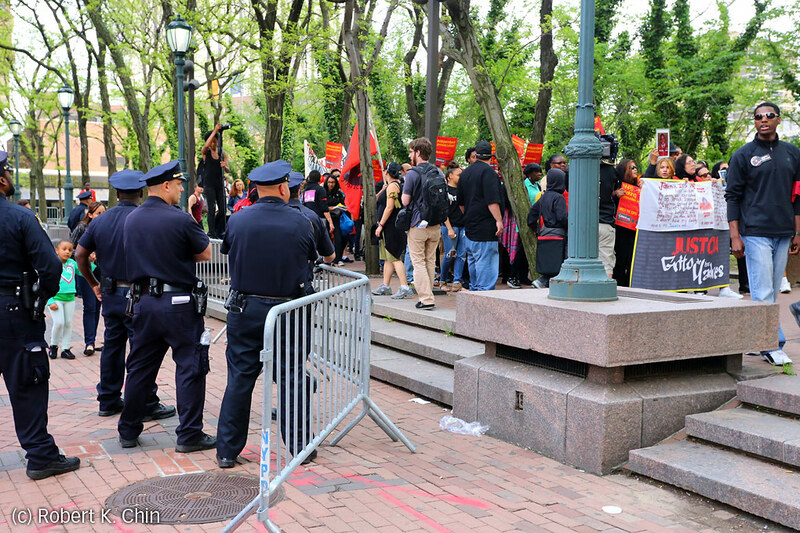 Preparing to march, the organizers provided a sizable security detail for safety reasons, and to make sure the march looked good to the public. 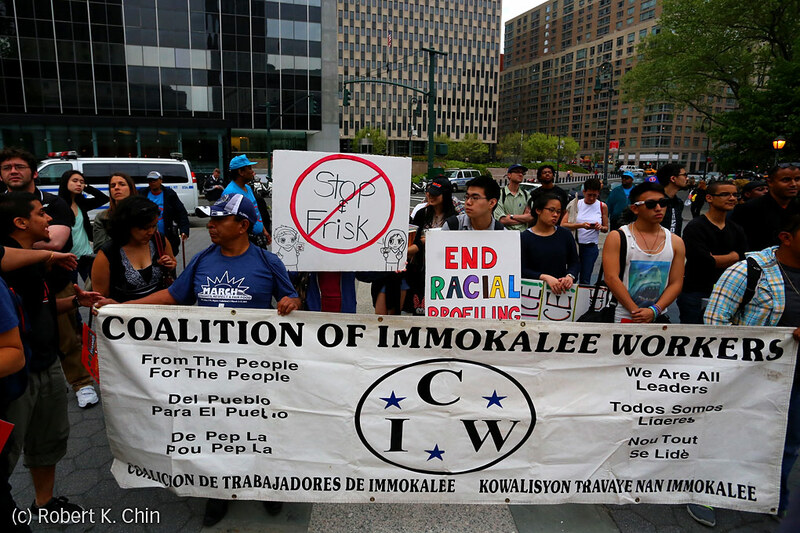 Coalition of Immokalee Workers repping at the continuation of the rally and spoken word performances, at Foley Square.